We at STIHL are proud to support the work of the Tree Research and Education Endowment (TREE) Fund. The TREE Fund is shaping the future of trees and the arboriculture profession by providing research grants, scholarships and educational programs that advance knowledge in the field of arboriculture and urban forestry. With this knowledge, arborists and citizens are better equipped to ensure that healthy, mature trees remain an integral part of the urban and suburban communities of our future. When we hear "research", images of professors in white lab coats writing papers for journals that only a few people read come to our minds. But research grants from the TREE Fund have a direct impact on the men and women who care for our trees. One area of research funded by a TREE Fund grant was strategic pruning. As an arborist at Bartlett Tree Experts in New York state, Frazer Pehmoeller was on the front lines of the Superstorm Sandy cleanup effort. He knows firsthand the value of strategic pruning to reduce wind damage. He relies on techniques proven in extensive testing by industry expert Dr. Ed Gilman, funded in part by the TREE Fund. “Dr. Gilman’s work is cited regularly in Bartlett Tree Experts’ best practices training sessions, and backed up by the Bartlett Tree Research Laboratory." Dr. Ed Gilman (University of Florida) has devoted much of his career to understanding how trees react to stress, why and how they break in hurricane-force winds and how strategic pruning can produce a stronger, safer tree. His Illustrated Guide to Pruning, now in its third edition, is the tree care industry textbook on the subject. It’s a compilation of lessons learned from multiple research projects, many of them funded by the TREE Fund. 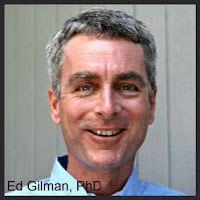 Dr. Gilman’s research findings are applicable everywhere the wind blows. 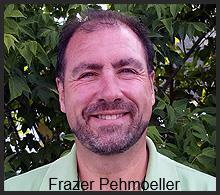 Arborists like Frazer, working to protect and preserve his clients’ mature, valuable trees, rely on science-based pruning techniques to help trees withstand high winds. The goal is fewer tree failures, less property damage and fewer tree-related injuries in the next big storm, wherever that may be. Read more about Dr. Gilman’s research and other investigations funded by the TREE Fund. 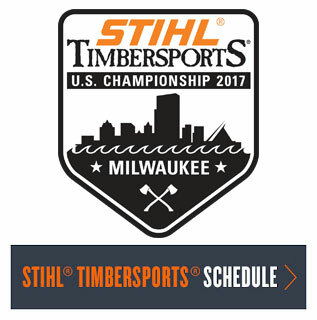 STIHL Inc. has been a long-time supporter of the TREE Fund. The STIHL Tour des TREES is the America's top fundraiser for tree research raising over $500,000 each year. Since 1992 the Tour has raised over $7 Million. Check out images and videos on the STIHL Tour des TREES Gallery and learn how you can participate in the Tour on the tour website, or you can donate directly on the STIHL Tour des TREES Crowdrise site. Imagine what life would be without trees. We just can't live without them. We encourage everyone to support this great cause. Join us in improving the health and safety of America's trees, by visiting the the TREE Fund donor's page and get involved today.